I've been a member of NANFA on and off for awhile, I used to post here about aquariums quite a bit, but haven't posted in a long time. 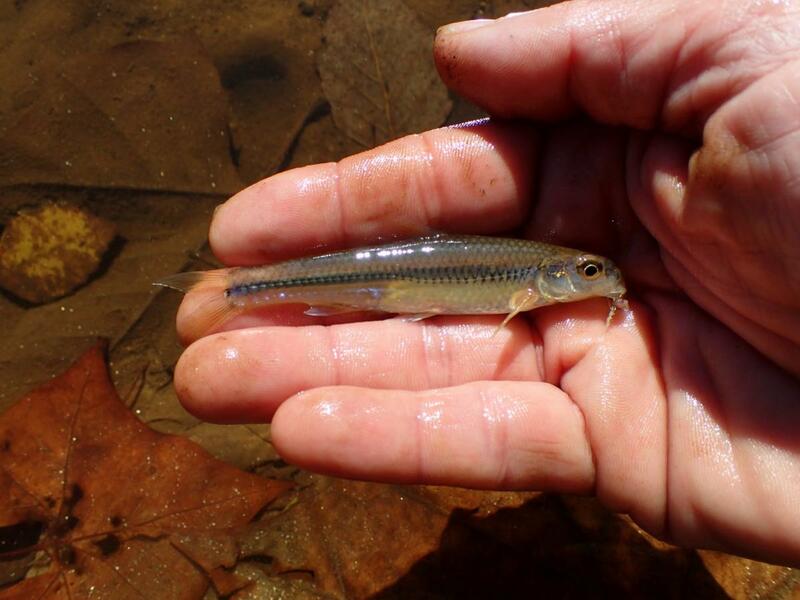 I got into microfishing a few years ago and it kind of culminated in a trip through the Ozarks with Ryan C. and Ben C. where I ended up at the NANFA convention in Tahlequah. It was great time and I enjoyed meeting some of the frequent posters to this site. 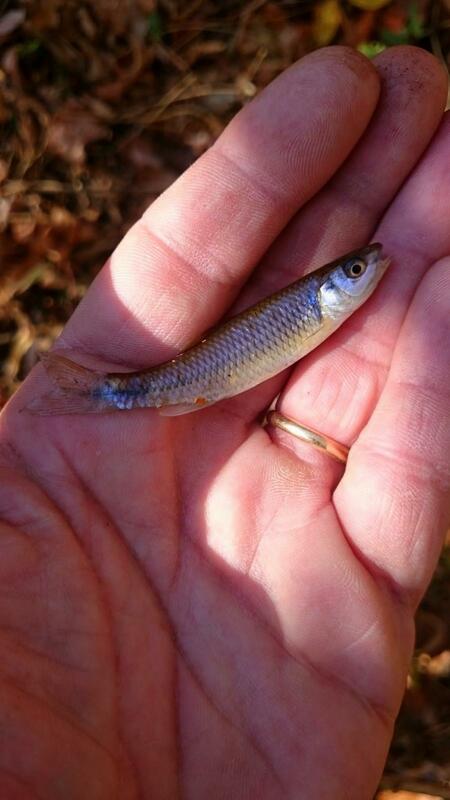 Ever since I’ve been meaning to post a microfishing report….. Right after the election I had the chance to go to North Carolina near Rutherfordton. Despite the drought and forest fires I managed to catch a few fish and really had a great time in a nice part of the world. 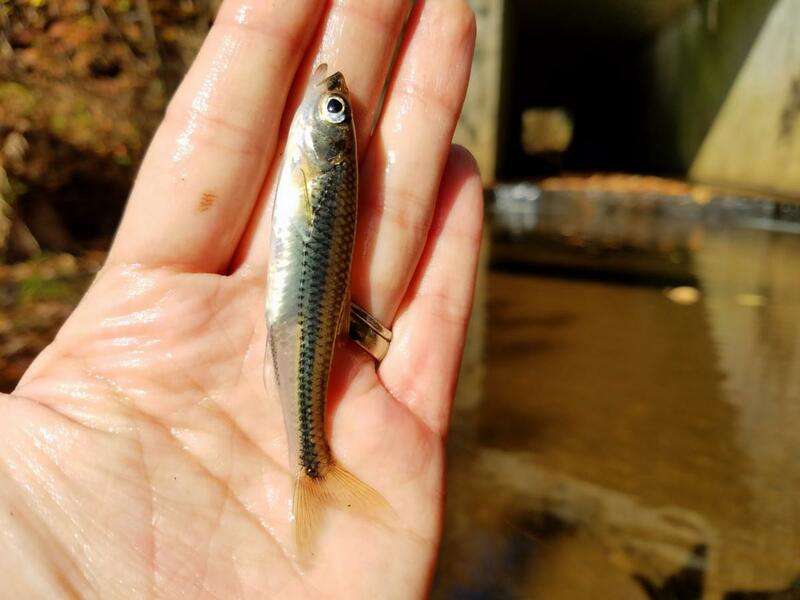 I thought I'd post a report and I was hoping to get some ID help as there seems to be some real expertise on this site with regard to fishes in the Broad River. The first day I got there I was itching to get on the water and we went to a public access spot on the Broad River proper. The water was pretty shallow here and it was the only time I got into my waders and checked things out. 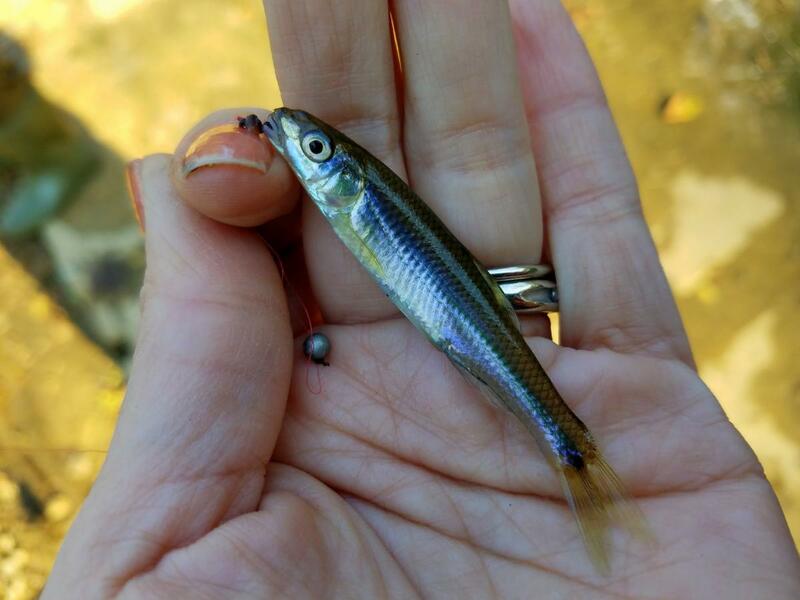 The wife and I caught a few cool micros. 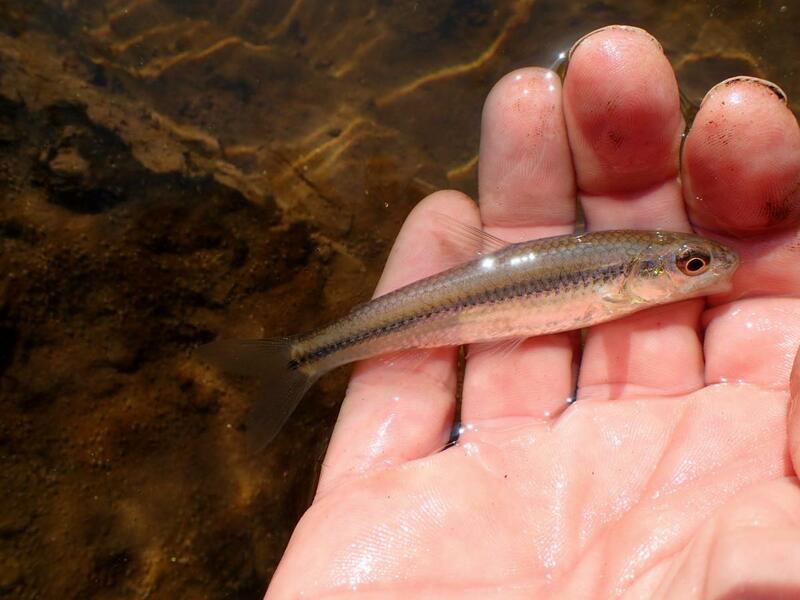 These fish I identified as Sandbar Shiner were abundant. 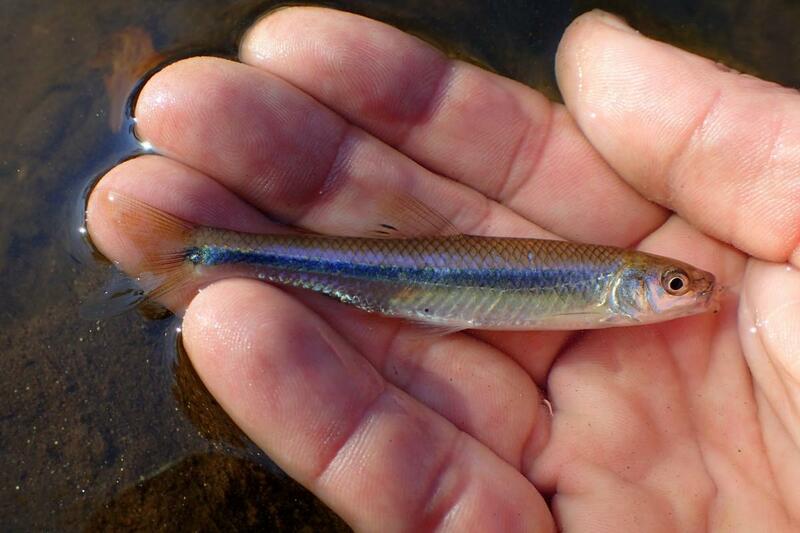 We also caught a few of a fish which I identified as a Cyprinella, in this case a Whitefin Shiner? I base the ID on the black marks on the back of the dorsal and overall slim build. 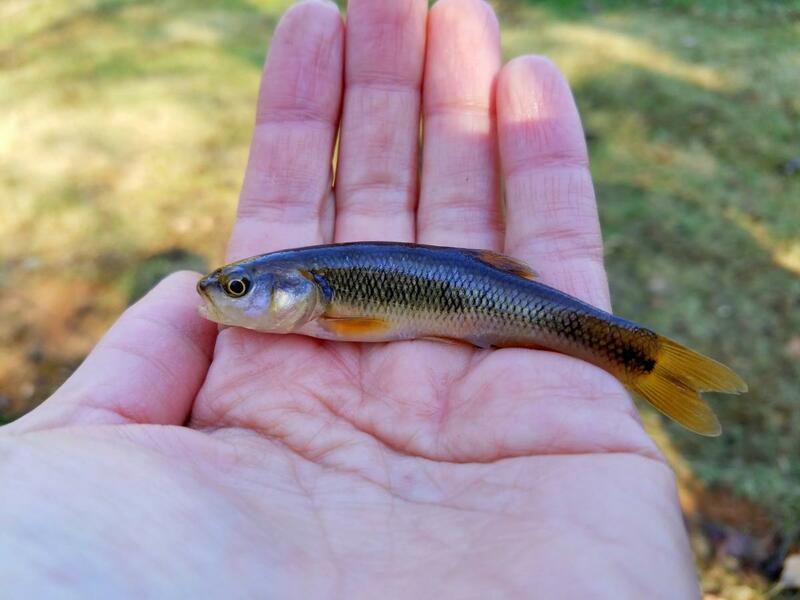 My wife also caught this Cyprinella species and I'm unsure of an exact ID.....seemed to have higher back than the fish I identified as a Whitefin Shiner so perhaps Greenfin shiner? 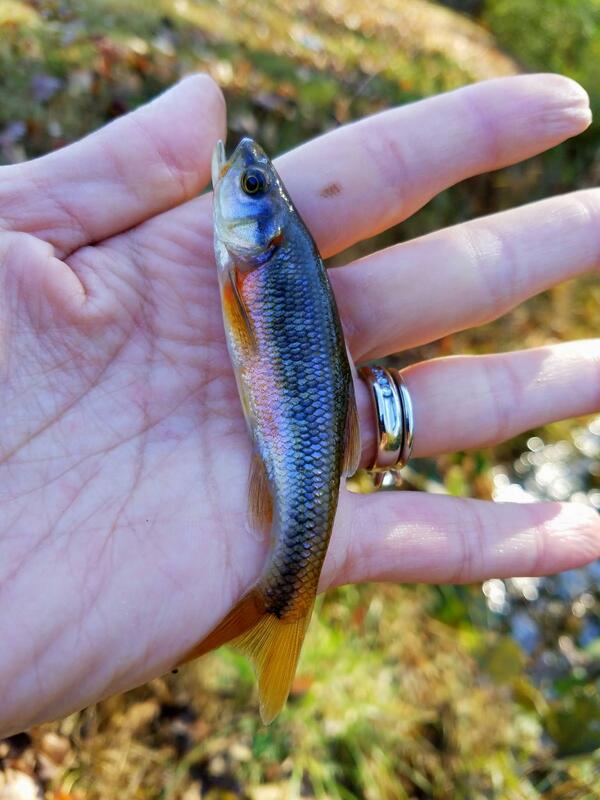 My wife also caught this fish, which I think may also be a Greenfin? 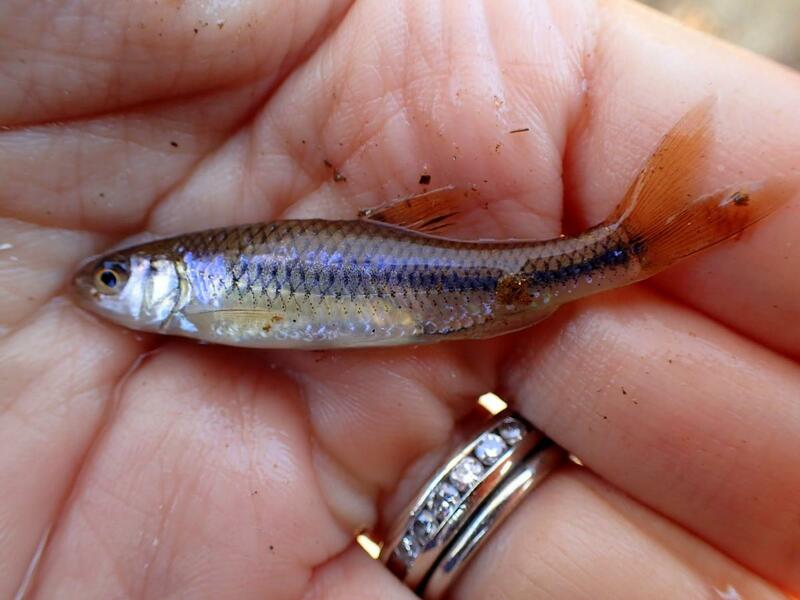 And this one which I’m think is a Spottail Shiner? The next day we went further downstream and fished the Broad River near Shelby and the South Carolina Border. Here the river was well….much Broader, with some deeper pools and nice looking habitat. After a quick look around I found a spot that looked nice and chucked a small worm on the bottom at a head of a pool to see if anything bigger was around. While waiting I decided to microfish the margins. We caught some more Sandbar Shiners and a lot of what I think were Spottail Shiners. After a while we tired of this spot and wandered downstream to a slow moving pool where we spotted some redhorse feeding. 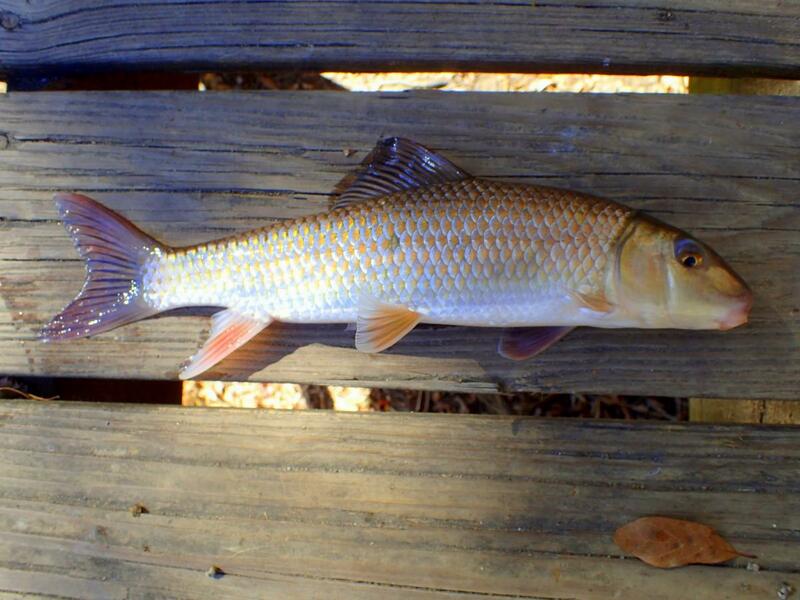 Soon we both had our lifer Notchlip Redhorse. We also caught some bluegills, redear sunfish, and small largemouth bass. The next day we tried a much smaller creek that flowed through a park. 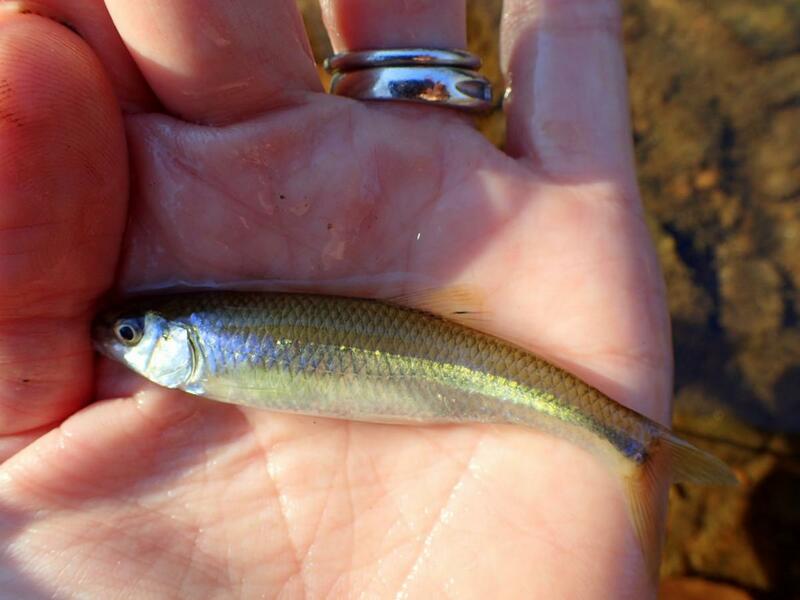 Here we caught Bluehead Chubs, Creek Chubs, and some nice looking Rosyside Dace. We then moved to a larger tributary of the Broad, and fished some nice looking water below a dam. We caught some more Sandbar and Spottails and quite a few fish I’m not sure of the ID. Really enjoyed fishing this part of the world and I’m looking forward to going back! 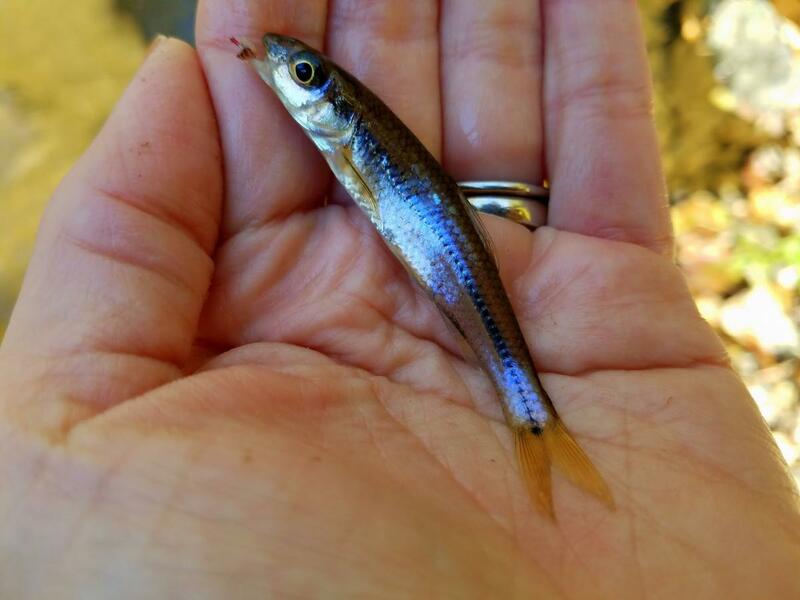 Thanks for any help with fish ID’s and hope you enjoyed the story. Very cool fish you got! BTW where do you get your micro-fishing rigs? Nice post, pmk. And pretty good pictures to get an identification from. I am sure Dustin and Gerald will jump in and help with the IDs. I think you're right on all of them. 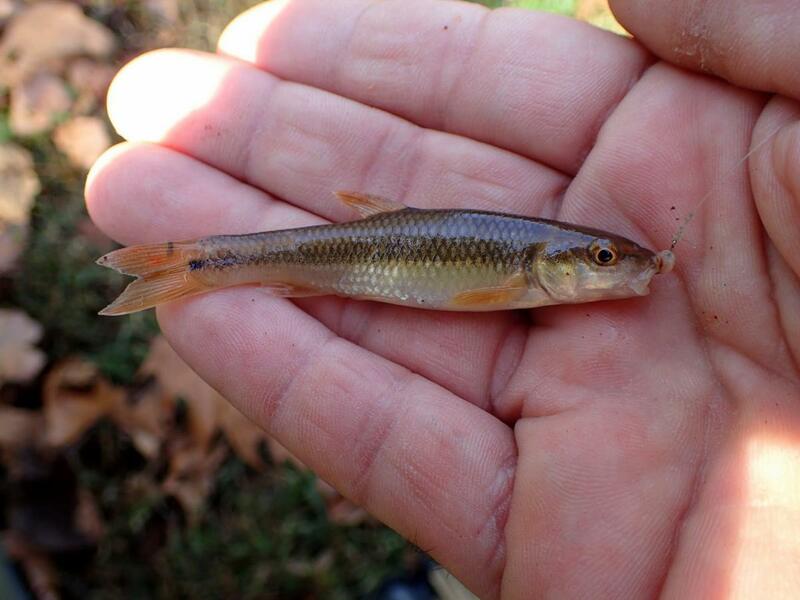 The 2 Cyprinellas (Greenfin and Whitefin) are separated by snout/mouth shape (more horizontal in Whitefin). Fieryblacks are in there too, in case you saw any with red on the lips or tail. 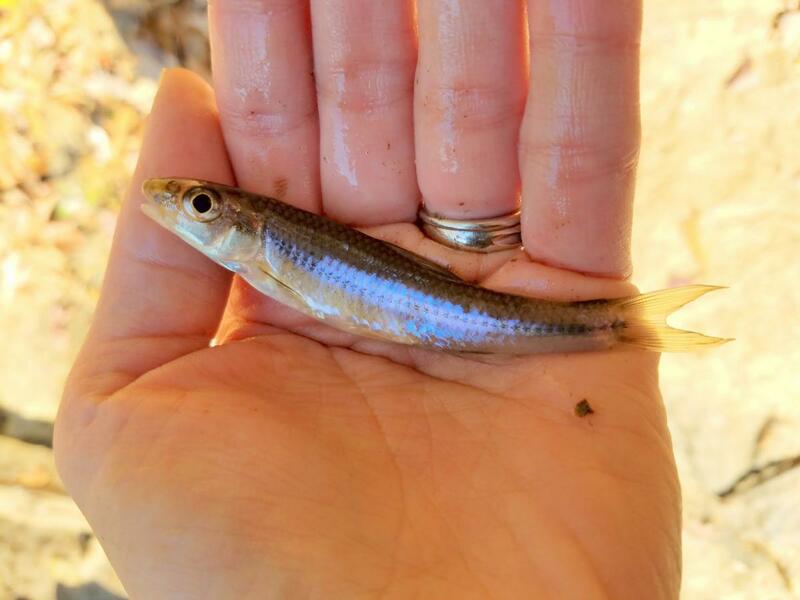 The Notropis with a steep-angled mouth are Sandbars, and the ones with a near-horizontal mouth are Spottails. Both have very large eyes, but the eye is more oval in Spottail. 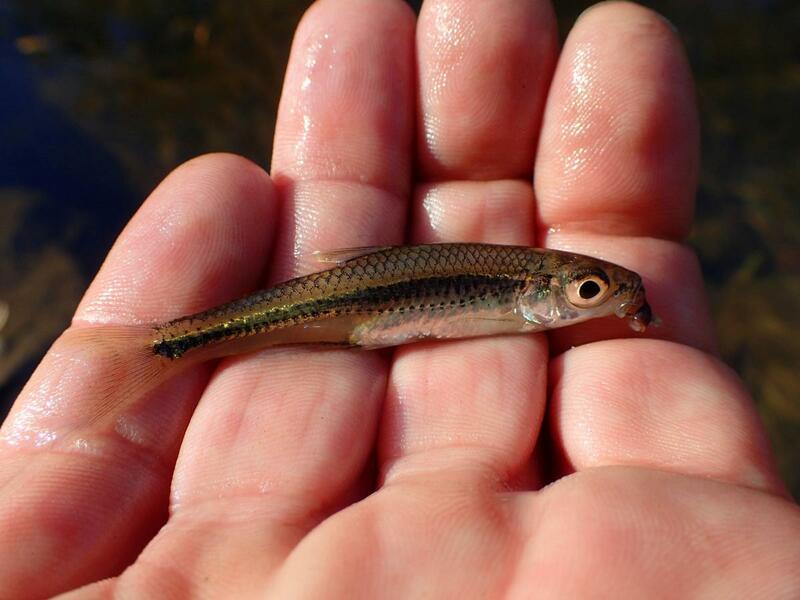 Chubs, Dace, Notchlip ... you nailed em. 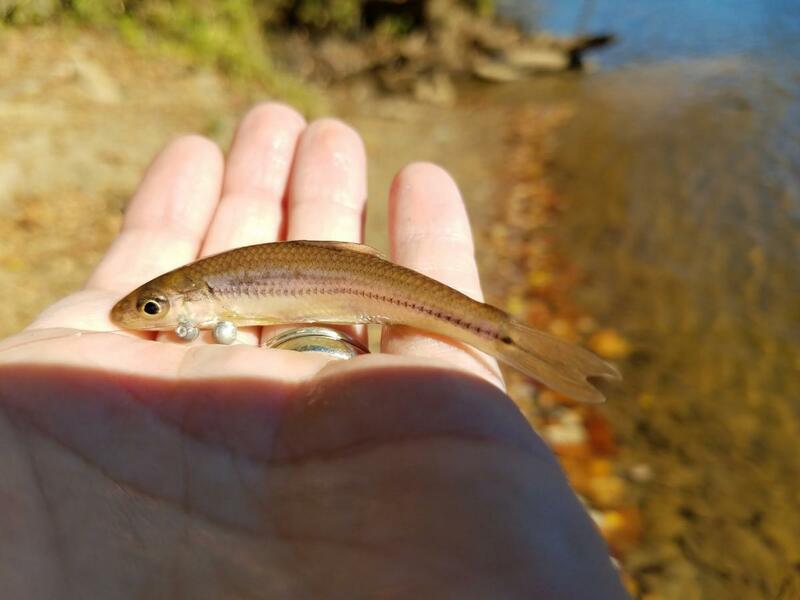 Other minnows you might have caught, but I dont see any in your photos: Thicklip chub, Santee chub, Highback chub, Silvery minnow, Swallowtail shiner, and Broad River Greenhead. Thanks for the post pmk, I'm a big fan of that area after making my first trip out there earlier this year. Are you the same pmk of instagram fame? I got the micro set up online, google "tanago hooks" and you'll see what I was using, definately get the pre-snelled version. Thanks Michael! And much thanks to Gerald for the help with the ID's. Yup, I'm also pmk on Instagram but I don't know about the famous part. I'm hoping to get back down there next year in the late Spring/early Summer. Still plenty of fish to catch . 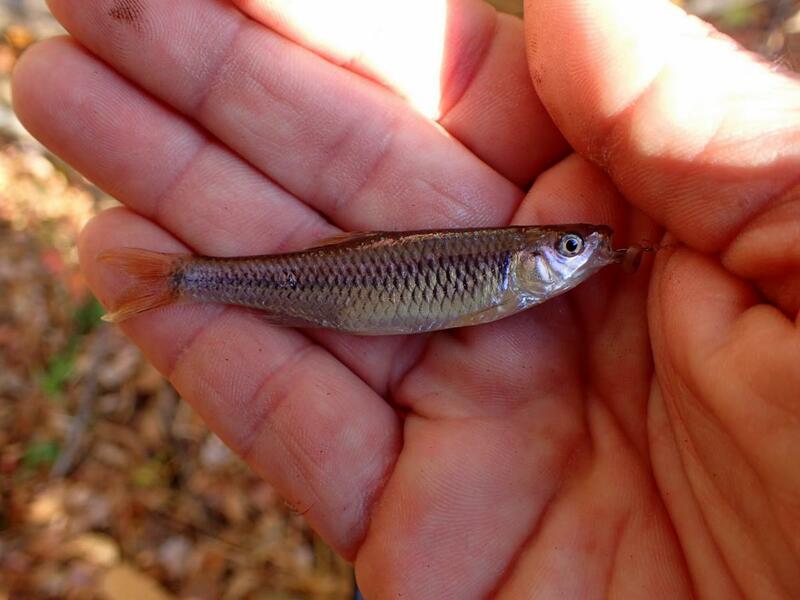 Wouldn't 14 be a Whitefin and 15 doesn't look to be a Cyprinella? But silvery shiner ID has never been my strong suit. Mike I assume you're matching the photos with the numbers UNDER the photo, right? I'd say 14 could be either greenfin or whitefin, but I'd lean more toward greenfin. Look at the longer snout and less scale edge pigment on #7 which I think is a whitefin. Whitefins should also have a less inclined mouth angle than greenfins & satinfins, but the hook obscures that feature. 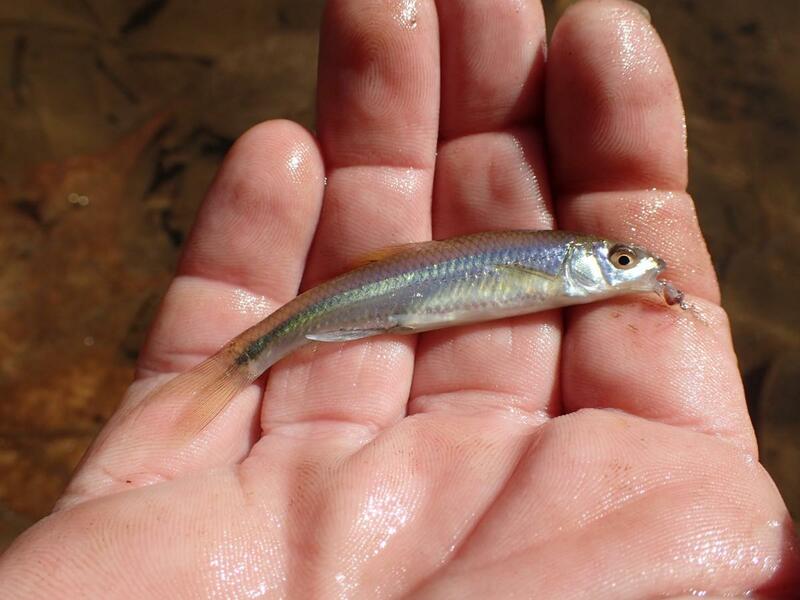 However, my whitefin shiner experience is in the Cape Fear and Yadkin basins. Never persoanlly seen any from the Catawba-Broad-Santee basin, so my confidence with #14 is low. #15 is pretty clearly a spottail shiner. Tardy to this party, but nice catches! Love that redhorse photo, too.